For the first time since Independence, Marapi village is connected to the outside world via a 6-km-long road, thanks to real commitment from its people and the police. A group of men and women are busy carving out a road through rocky and steep terrain in a dense forest in the heart of India. On the face of it, this seems like regular day’s work for these hardworking folks. Only when you notice that the number of camouflage-clad police commandos, both men and women, keeping watch over the surroundings almost outnumbers the people working on the road, do you realise that this is anything but regular. The location is Marapi village in Chhattisgarh’s Red Corridor. The group of people working on the road are not construction workers, but tribals from Marapi itself, and the heavy police presence is a reminder of the Naxalite activity prevalent in this area in Kanker district of Chhattisgarh. A village of approximately 400 inhabitants, Marapi is located just 15 km from the Kanker district headquarters. But surrounded by inhospitable terrain in the form of forests and hills, it was next to impossible for the villagers to travel anywhere except on foot. Vehicles were virtually non-existent and even the few people who did own two-wheelers had to park them 6 km outside the village since there was no way for the vehicles to make their way in. This meant that even if someone was unwell, he or she had to be physically carried by people in a makeshift stretcher, on their shoulders, for at least 6 km to reach the nearest main road. The villagers also had to walk 8 km to pick up provisions from the nearest ration shop. Though their primary means of livelihood is agriculture, they have had to rely on primitive methods since it was impossible for tractors and other modern farm implements to be brought in. This was the story till January this year. Now, a 6 km-long road proudly runs through this 650-metre inclined stretch, right through the forest, connecting not just Marapi but also other nearby villages and hamlets, and telling the story of how success can be achieved when community and authority come together to persevere for development. Last year, the Kanker district police adopted two villages -- Jivalamari and Marapi -- under the Mor Mitan scheme for better community policing. 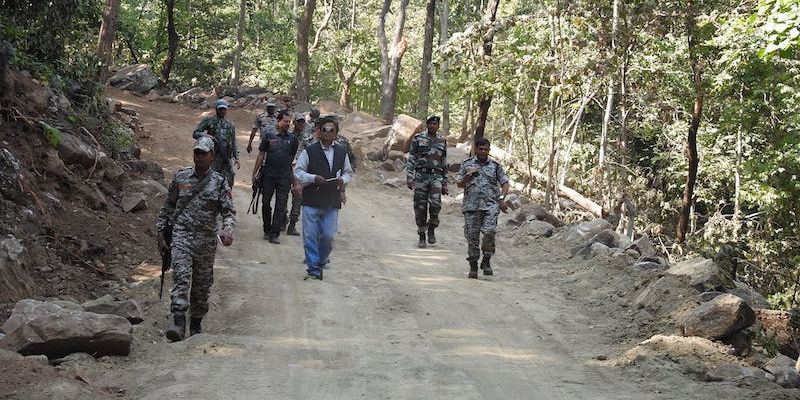 According to Deputy Inspector General of Police Ratan Lal Dangi, they felt the urgent need for a road to be built since the residents of Marapi and nearby hamlets were deprived of much-needed basic amenities. 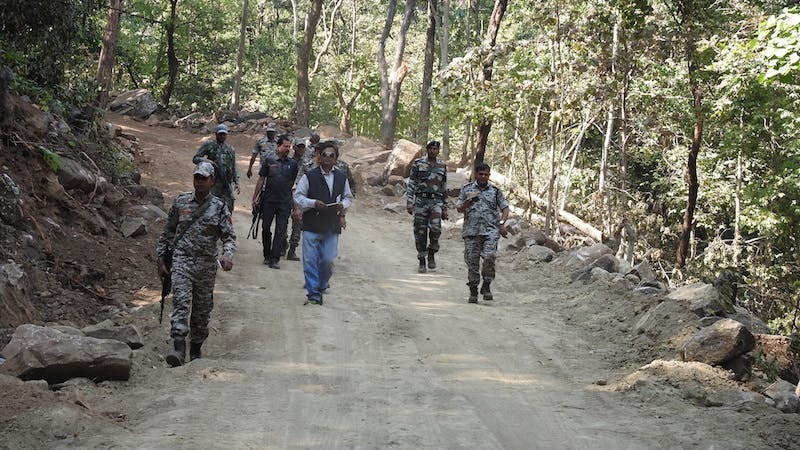 However, because of the heavy Naxalite activity in the area, road construction had always been a major challenge, making the villages inaccessible except on foot. It took a visit from Bastar's Inspector General of Police Vivekananda Sinha to convince the people about putting up a united front and co-operating with the police and security forces to improve their situation. The villagers were encouraged to do shramdaan and volunteer their services to build a road. The project, sponsored under the Pradhan Mantri Gram Sadak Yojana, began in end-2017. “We used our available resources like earth-movers and road paving machines, a couple of tractors to transport surface layer materials and tippers,” said Dangi. Around 60-70 families reside in this village, and every one of them helped in the construction. Over 120 police personnel were deployed on site. 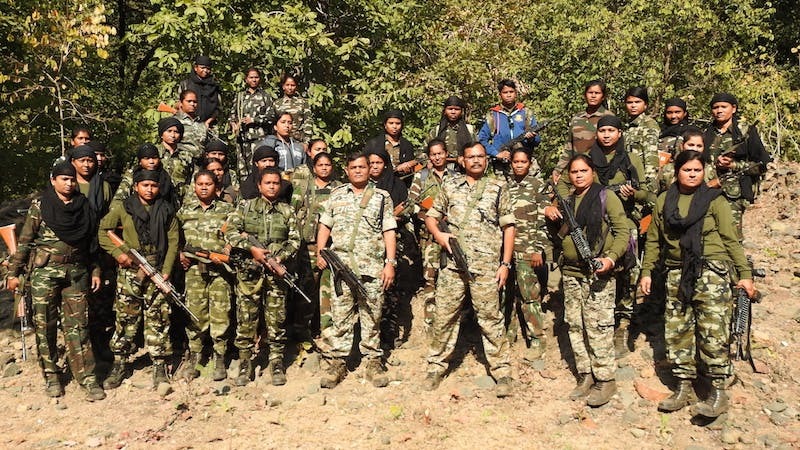 Women commandos were especially recruited by the Kanker Police for this project. The women guarded the site in the morning, while the men took over the evening and night duties. It took a month for the road to be constructed, and in that entire time, there was no interference or obstruction from Naxalites in the construction activity since the project was people-owned. It was opened for use in January 2018. The road now connects Marapi to other remote villages, including Useli, Kalmuchhi, Pidhapal and Dhantulsi. While not a paved road, it definitely makes life much easier for the villagers, who can now access healthcare and other essential facilities easily. Even for the outside world, connectivity to these villages has vastly improved. In fact, there has been a noticeable drop in teacher absenteeism since the road opened up. And for the first time in 71 years since Independence, a District Collector could finally visit the village. When Taman Singh Sonwani came to Marapi, the people got an opportunity to share their grievances with him. The villagers expressed concern about the condition of the road worsening in the monsoon, and the district administration assured them that the road will be concretised before the rainy season begins. The district police and district administration are also working towards setting up solar energy panels to provide electricity and drinking water, among other amenities. For the first time, Marapi has seen the formation of six self-help groups (SHGs), a common feature in villages across India, as a step towards women’s empowerment and financial independence. For the residents of Marapi and nearby areas, this is the road that could lead them to a brighter future.